Holiday fun for the kids. 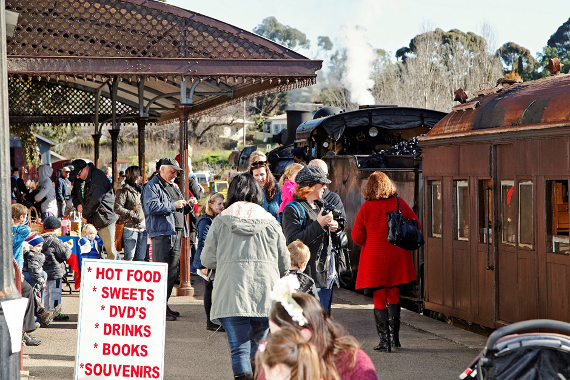 Why not join for us for kids activities on our trains every Wednesday, Saturday and Sunday of the Victorian school holidays. 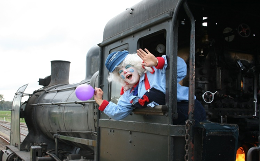 There will be strolling clowns and balloon activities entertaining the kids during the journey. So join us for a great day out. A holiday highlight for the kids. Open the windows, maybe see a kangaroo, listen to the whistle. We help to keep the kids entertained throughout their journey with puzzles, games and facepainting. Pack a picnic to have on board or in Maldon in one of the parks, at the station or go to one of the many cafes in town! 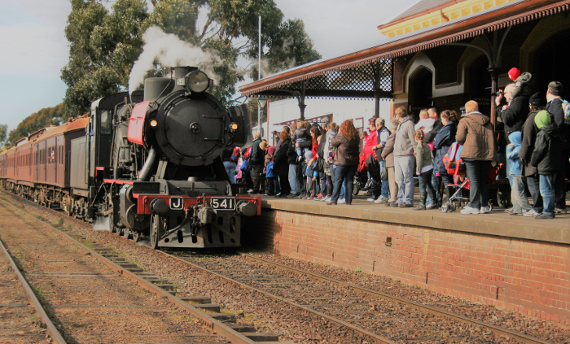 Return steam train rides start from Maldon station at 10.30am and 2.45pm or Castlemaine station at 12.00am. Take advantage of the savings available with our special family tickets. Although tickets are normally available at stations on the day of travel, bookings are preferable to guarantee a seat and are easily booked online. Special family tickets only $110. As this event is running on board our regular trains (in excursion class only), you just need to book your seats by selecting any of the dates listed above during the booking process.